© Photo: YouTube/Smarthistory. art, history, conversation. 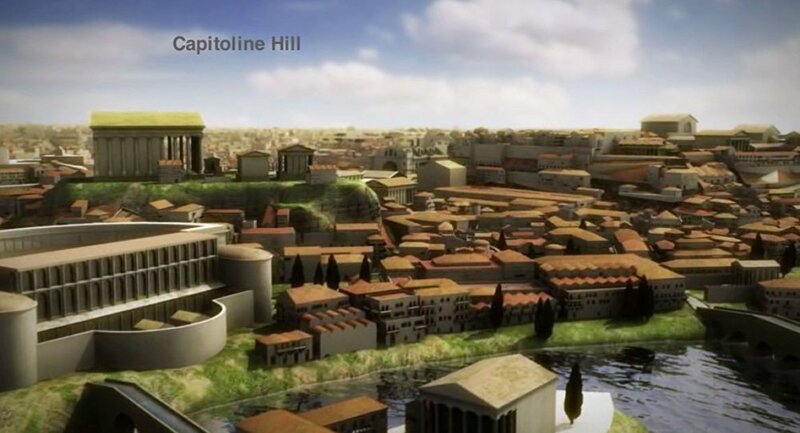 Researchers working on a project to create 3D digital models illustrating the urban development of ancient Rome have begun by reconstructing the city in 320 AD, just before Emperor Constantine chose Byzantium as the site of a new Roman capital, Constantinople. At this time Rome had reached the peak of its population, and major Christian churches were just beginning to be built. "Much of what survives of the ancient city dates to this period, making reconstruction less speculative than it must, perforce, be for earlier phase," say the researchers, an international team from universities in Italy and the US. "But having started with AD 320, the Rome Reborn team intends to move both backwards and forwards in time until the entire span of time foreseen by our mission has been covered." The project aims to illustrate the urban development of ancient Rome from the first settlement in the late Bronze Age (ca. 1000 BC) to the depopulation of the city in the early Middle Ages (ca. AD 550). The video is narrated by the project's leader, Indiana University professor Bernard Frischer, and shows how advanced and complex the city was. According to two censuses from the fourth century AD, the city at that time had between one and two million inhabitants and between eight and ten thousand buildings.